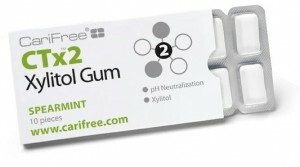 Many of you have heard our educational spill on Xylitol and how it’s benefits for your oral health are extraordinary…Sometimes having a scientific study with factual information from a credible source such as the American Dental Association, provides our patients with the evidence they need to become a true believer! All of our Caries Free Products at Stonebriar Smile Design make great stocking stuffers and will benefit your pocketbook in the long run by preventing cavities! Stop be the office today for your products and don’t forget to send college students back to school with a replenished supply!